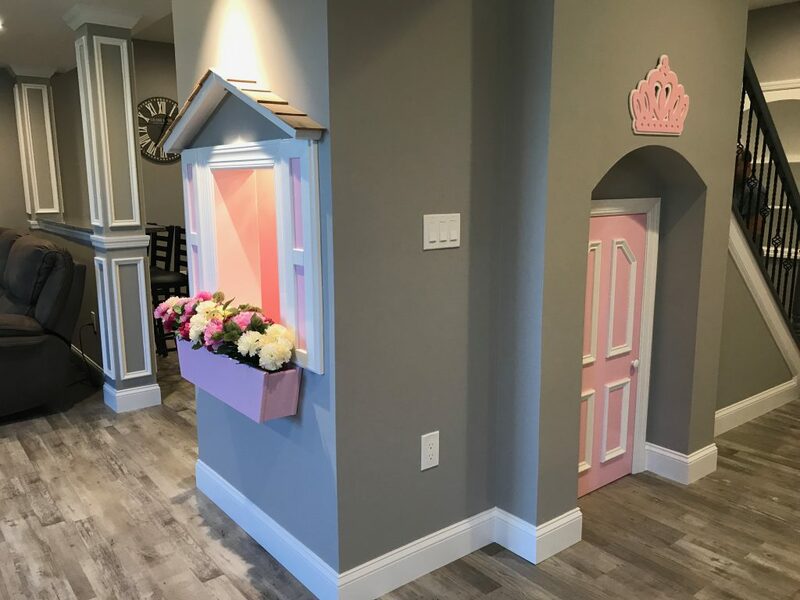 We have our beautiful playrooms that we have created in our basements, but our playhouses under the steps are what we would compare to a dollhouse for your kids! Whether you have an unfinished basement or one that’s finished but could use some more function, we can turn your space into something you only dreamed of. In our playhouse category we speak about how to get the most use from your space, and mention utilizing normally neglected space to build little hideouts or club houses. These are some of our playhouses we have built under the steps of our basement. This is one of our most popular playroom ideas that customers have been going with lately. An adorable little dollhouse that can be decorated anyway you or your kids wish! Don’t let your basement space go to waste. 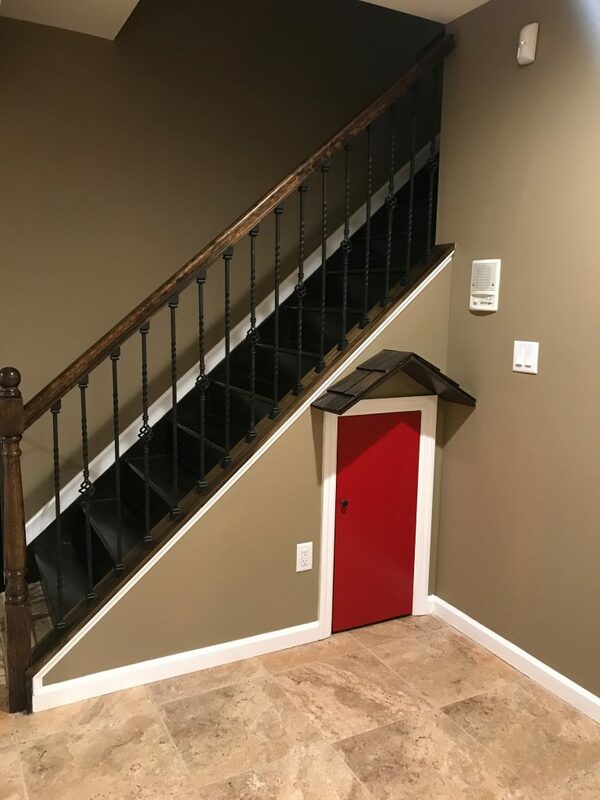 Especially under the stairs when we can do so much! Call Finished Basement New Jersey today at 732-928-3433 for a free estimate and have Pat show you, on site, what he can do to make your children’s dreams come true!